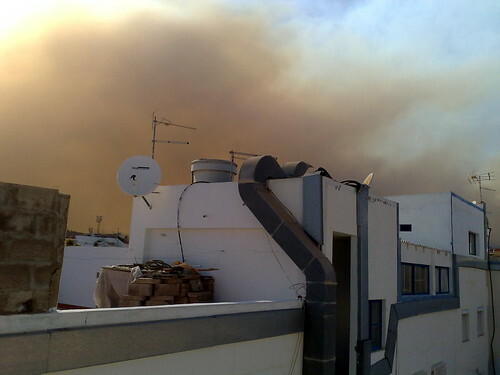 Pictures taken from the terrace of the building where I live in El Tablero seeing the massive impact of the fires happening in the area over the last few days. They are a bit far away from where I live, but just seeing the smoke makes you wonder. Dramatic, specially when it was all supposed to be big blue skies all over!